My passion for the wilderness areas of Canada is rooted in my early exposure to these places as a child. I grew up in a town poised on the edge of many conservation and parks areas, so access wasn’t just easy, it was an expected part of the adventure of growing up. A profound seed was planted when I was exposed to the work of the Group of Seven. They were a group of Canadian artists who left a rich legacy of landscape art. Exposure to the original thinking of artists like Lauren Harris and Arthur Lismer of the Group of Seven, and Europe’s Turner and Cezanne, provoked a great deal of thought of my own. I was “seeing” landscape with a fresh eye. I perceived an undulating rhythm coaxing the eye to flow through the interplay of nature’s basic elements: land, wind and water. On location, I do a series of drawings in quick succession, recording some of the shifts in water, wind and on land for later compilation. Where access has made it possible for carrying easel and canvas I produce an underpainting. A quick colour study on a small panel records the essential expressive palette for the studio work to come. In the studio, I fully develop the final composition from the drawings and notes, with the scene still resonating within me. On canvas I begin with a traditional, modelled underpainting to set the form, light and shadow. I then layer and blend colour to build intensity into the fluid movement of each unique scene. Jan Wheeler is an established Canadian oil painter, who captivates movement and the natural flow of energy in breathtaking moments that cannot be captured by the naked eye. It is through her experiences and interpretation of life, by her use of brush stroke and medium, that the viewer can appreciate the movement and beauty of life through her work. Jan usually works on canvas, and likes to layer, blend and contrast colours absorbed from her chosen location, to achieve a range of results from the serene and subtle, to the dramatic energy of a storm. The content of Jan’s work is tightly entwined with her love for the Canadian water and wilderness areas; she is an experienced backpacker and canoeist, and has gained access to her locations using these means. Jan works as much as possible on location, observing the physical patterns of the environment and the underlying movement of the elements that translate into beautiful paintings that seem to radiate, dance and flow on canvas. Born March 1, 1959 in Orillia, Ontario, Jan Wheeler currently lives north of Barrie in the Horseshoe Valley area. Her parents Mr. and Mrs. George Smith came to Canada from Liverpool over 50 years ago in search of a better life for themselves and their children. Jan is an outdoor enthusiast whose worldwide travels and experience in the U.K., U.S., Europe, Japan, Finland and the Middle East have shaped and defined her personally, professionally and artistically. Drawing even before her first lessons at age 8, Jan went to public school in Orillia, and attended Park Street Collegiate Institute. She later received a Diploma in Design Arts from Seneca College in Toronto, and moved from Southern Ontario to explore Vancouver after graduating. Little did she know that Vancouver was only the beginning of her life adventure and travels as an aspiring artist. It was there that she became a member of the Canadian Federation of Artists and later that year gained sponsorship to travel to Sendai, Japan in 1985. She met her husband on her return to Vancouver and after getting married later the following year, the newlyweds traveled to Saudi Arabia where Jan took the time to explore her artistic identity while painting children playing in the streets. She attended Lorenzo d’Medici School of Art, Florence, Italy 1987, the Mentor Program at Byam Shaw School of Art in London, U.K. 1988, calligraphy training in Sendai, Japan 1986 and varied seminars and lectures at the Tate Gallery, The National Gallery, the British Museum and the V&A Museum London U.K., 1987 to 1989. Jan Wheeler has traveled in Canada, the U.K., the U.S., Europe, Japan, Finland and the Middle East as a working designer, consultant, lecturer and student. Career highlights in the field of corporate design include the corporate identity for the IT Infrastructure Library for the UK Government and a lecture tour for Japan External Trade Organization. Her curated exhibits include Algonquin Art Centre Year of the Forest 2011; Change: an Artist’s Perspective 2010; Orillia Museum of Art Landscapes, 2011; La Parete Gallery, Toronto, Contemporary Canadian Artists, 2010; Gallery Hittite, Toronto, ON, The Wild Places, May 2009; the Agora Gallery, Chelsea, New York, Beyond Borders exhibition 2007; Overtures exhibition, 2006 and the Dangenart Gallery, Nashville, Tennessee, Nancie Mattice Award Finalist Exhibition, May 2006. 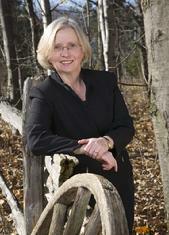 Jan was awarded Ontario Arts Council Funding as an emerging artist for her body of work on Lake Superior in 2010. The artist also won the 1988 International Art Competition, New York, NY, Award for Excellence in Painting. Jan hopes someday her work will be seen to have contributed to the art world and the preservation of wilderness areas at home and abroad.